Growing out of posts like "Losing touch... Or why Excel and VBA won't cut it any more" and "How to do football analysis in Tableau", I've been asked a steady trickle of questions this year about what analytical software I use. One of the biggest discoveries I've made as I branched out from Excel and VBA is that there isn't a right answer to what software you should use. There are loads of programming languages, loads of dashboard solutions, loads of databases and you can't possibly get experienced with all of them. It's better to find yourself a set of tools that work and to know those tools well, than to have bits of knowledge all over the place, but not be using any of your kit to its full potential. If your data size isn't measured in terabytes, then you don't need to be right on the bleeding edge. For outside of work projects, I've got a couple of machines that aren't anything fancy. An older Core i5 laptop with 4GB ram and a Core i7 laptop with 16GB ram. A regular laptop like that, costing between £500 and £1000 is more than enough for chucking around datasets up to tens of millions of rows and analysing them. On to the software... As I said, there isn't a right answer to what you should use, but I hope this post might be useful to a few people as a starting point. If you've broken Excel and if Access has you tearing your hair out then read on. Opening Microsoft Access at all, is a very strong signal that you need to get acquainted with some of the tools on this list. And as an added bonus, almost everything I'm going to talk about is free! Question: Can I get by without Microsoft Windows? Answer: Yes! You need Linux Mint. Mint is a very Windows-like desktop environment and since the Windows 8 (Metro) car crash, it's arguably more Windows-like than Windows is. Easy to install and easy to use, I wrote a short intro to Mint, a couple of years ago. Be warned, that if you use Linux for anything more than a bit of web browsing, you are going to end up using the command prompt and Googling to fix broken things. But then you'll be doing that with the DOS prompt in Windows too, because a lot of data analysis software is designed around Linux and needs persuading to work properly with Windows. If you've got an older machine lying about, stick Mint on it. You might be surprised at how good it is. Yes, there are newer, fancier Big Data technologies out there and I'll learn them at some point, but I want the SQL language I know, in a fast, familiar, free package and MySQL does that. On Linux, you might have to do a bit of reading to get it to work properly (watch that you need to install the Server and Client packages), but it powers half the internet - including Twitter - and isn't too hard if you're patient and don't mind Googling an error message or two. On Windows, make sure you download the MySQL Installer. Don't try to work out what packages you want and install them individually. You will inevitably bugger it up. Once you've installed MySQL, if you're using it for data analysis rather than to power a small website, you MUST customise my.ini (Windows) or my.cnf (Linux), or it will run like treacle. 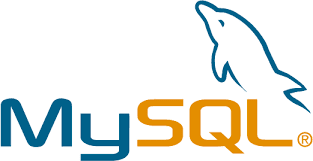 Out of the box, MySQL is designed to run on really low-powered hardware and its memory usage settings are turned way down. Have a Google. To go with your MySQL Server, you'll want MySQL Workbench, which you can use to write queries and maintain your database. It's packaged up in the Windows Installer that I mentioned, or you can install it separately on Linux. Don't know any SQL? You should. Start here. Answer: I use Python and I like it a lot. If you're making the switch from VBA Macros, or taking your first steps in programming, then Python's a powerful, approachable place to start. On Windows, I'd recommend installing ActiveState's Python package, because it handles all the set up for for you and prevents you from getting into a situation where you're pretty sure you installed Python but it just doesn't work. On Linux, you already have Python installed and you just need a nice piece of editing software to write your code in. On Windows and Linux, for writing code I've recently adopted PyCharm following a recommendation from @penaltyblog and it's the most straightforward editor I've seen that still has all the features you'll want as you progress. It might feel a bit weird coming from Excel Macros that the editor you use to write code and the programming language itself are separate things, but that's Open Source for you - it gives you choices. MySQL is the same; you don't have to use MySQL Workbench to talk to your database if you don't want to and there are loads of other choices, but Workbench is an option that works and that's what this list is all about. No idea how to use Python? Start here. Question: What do you use for statistical analysis? R is free and tremendously powerful. It's a proper, highly capable programming language for working with data and the output you can produce using it is amazing. 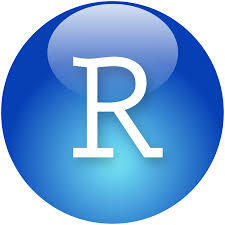 The first step with R is to install R Studio, which makes life much easier. Don't try to install and use R without R Studio - it's unnecessarily painful. The second step is to have a look at a beginners tutorial. And when you get stuck, have a look on Stack Overflow. R errors can be really awkward things to Google, partly because it's just a single letter and partly because its user forums are horrible. Stack Overflow and R Bloggers will already have answers to most problems you'll hit and if they don't, you've probably got the wrong end of the stick and are asking the wrong question. Ask a question on Stack Overflow at your own risk. Chances are somebody else has asked the question before and you could have found it by searching. The bar on what is a good question asked in the right way, is also set quite high! As an aside, if you don't know R or Python, then they are interchangeable for a lot of work, such as web scraping. R is a statistics package with a lot of general programming capability and Python is a programming language with some really good statistics packages. You could try to stick with just one of them. Question: And for graphs and data visualisation? Answer: Tableau Public. And R again. For a basic grounding in Tableau, try my "How to do football analysis in Tableau" guide. Tableau's a fabulous piece of software and a brilliant way to get interactive charts and tables onto the web. It's also my first stop for visually interrogating a new dataset and seeing what it contains. Tableau Public - which is free - is limited vs. Professional in that you can't load more than a million rows of data at a time and you can only connect to spreadsheets, text files and Microsoft Access. It's well worth working around those limitations though, to get access to the powerful tools that Tableau offers. When I want a visualisation that's more bespoke than Tableau offers, I turn to R packages, because that's what I know. There are a whole host of other amazing technologies out there for bespoke data visualisation, like D3 and Processing, but it's very much a case of picking your battles and learning what will be most useful to you. I'm not a graphic designer and so am sticking with R and Tableau for now. Question: Is there still a place for Excel? Excel's still a very useful tool, even if only because you know exactly how it works, so you can use it to solve problems quickly. It's also very handy that almost everybody else has got a copy so you can share spreadsheets easily. More and more though, I'm seeing Excel as a scratchpad for hacking data around before I put it somewhere more permanent. You can see what you're doing with Excel and for small to medium sized datasets, it works really well, provided what you're building is a one-off view of data that doesn't need to be updated. Actually, I wish Microsoft would recognise this use for Excel, strip out all the crap and cut it right down. Just a blazingly fast spreadsheet, with worksheet formulas, pivot tables and simple charting. Nothing else. It'll never happen though. As soon as your work starts to morph into repeatable analytics, or proper dashboarding, get it out of Excel. We used to use Excel for everything because it was all we had. That's not true any more. The free alternative to Excel is Libre Office Calc and it's just about okay. If you haven't got Excel, it's worth installing but you'll end up in MySQL, R and Tableau earlier, because Calc is a lot less capable when you throw a sizeable amount of data at it. Question: Any other bits and pieces? Notepad++ is a must for text editing and definitely put the Poor Man's T-SQL formatter plugin on it, so that you can clean up your SQL queries. You don't realise Wordpad is rubbish until you try something else that works properly. Pentaho Kettle is cool and worth a look if you want drag and drop ETL (extract, transform, load) for your data. I got very excited about Kettle a while ago and I still use it quite a bit, but you may find that R steps up to do the same jobs as you get better at it. Gephi is what I used to draw my analyst network visualisation. It's a piece of software focussed on networks rather than general purpose analysis, but a lot of fun to play with. And finally, Digital Ocean is an awesome web service, where you can spin up a virtual Linux PC (they call it a Droplet) for $5 a month. When I want to run a web scraping Python script without the risk that my laptop will reboot half way through, I stick it on Digital Ocean. You can also put a 20GB MySQL server in the cloud this way and access it from anywhere. It won't be super fast for the basic $5 a month, but it's very handy if you access data from a few different places. If you use this link to sign up, you'll get $10 free credit and I'll get a bonus too. Everybody wins! 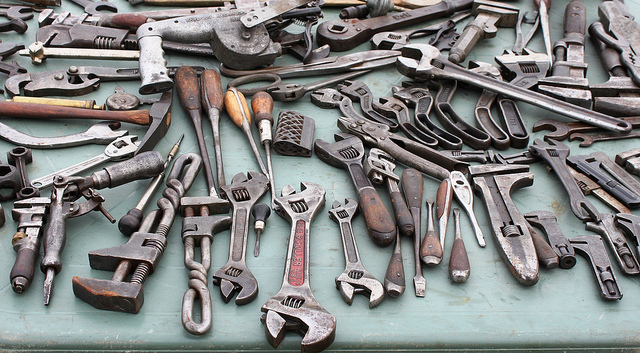 I hope that this post might set one or two people off trying new tools. As I said at the beginning, this isn't claiming to be the right answer to what you should use, or even the best answer, but it's a tool kit that's working for me and took quite a bit of sifting through different options to arrive at.